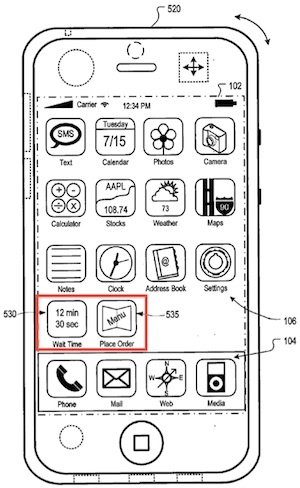 Apple filed a patent in 2008 to have locations specific apps. What does it mean? If you go to a restaurant then a new app in your phone with the menu, or in a library with the books, or … you name it. Patently Apple points to a newly-published patent application from Apple describing temporary proximity-based or location-based applications that could appear on a user’s iPhone or other mobile device when in a specific area. 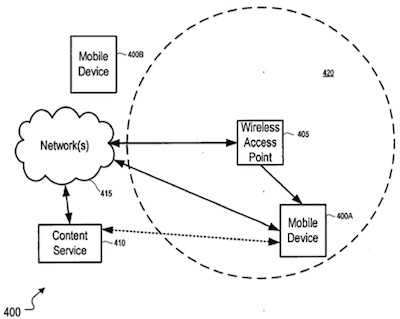 Content would be managed by a central server that would pair a device’s location as relayed by Wi-Fi connections or other means and deliver appropriate applications based on that location. The idea is simple. Deliver a location based service to information savvy iPhone users that wish to receive temporary retail and service-based applications. Imagine standing at the entrance of a restaurant and viewing their menu on your iPhone or entering a public library and being able to access their database. The minute you leave the library or the front of that restaurant, the app disappears so that you don’t clog up your iPhone with hundreds of local business apps. – Restaurant: The patent application describes two possible uses of location-based temporary applications that could prove useful to a user approaching a restaurant. The first is a “Wait Time” icon that would automatically tell the user how long the current wait is to be seated at the desired restaurant. A second “Place Order” icon could allow users to access a restaurant’s menu on their device and submit their food orders electronically. – Public Library: Upon entering a library, a user could see an application automatically appear on their device that would allow them to search the library’s digital database of books and other content without having to secure a position at one of the library’s linked computers. The application could then automatically disappear from the user’s device once they exit the building. The patent application is solely credited to Apple engineer Scott Herz and was filed in November 2008.